The NBA trade rumors are heating up with DeMarcus Cousins talk and one team may pull the rug over those that have been mentioned in previous trade rumors. 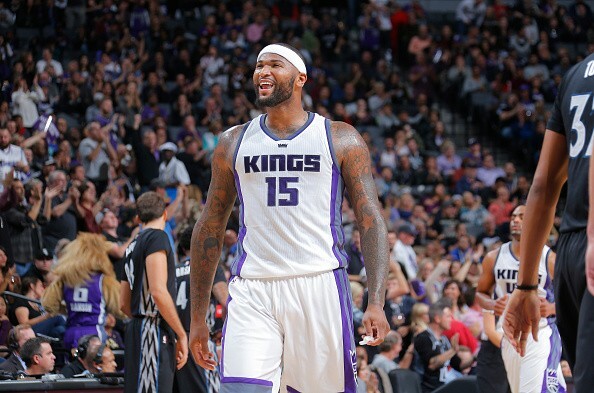 A bold declaration by Sean Deveney of Sporting News has ignited numerous rumors that center on one of the most polarizing figures in the league: Sacramento Kings center DeMarcus Cousins. Cousins possesses the intriguing mix of immense talent and a highly volatile temperament which makes a trade for him a real puzzle. Still, Deveney believes that some teams may roll the dice as early as December. Deveney quotes an anonymous General Manager from the Western Conference: "I'd say they have three months, tops. Probably more like a month, or month-and-a-half, because the closer they get to the (February trade) deadline, the less they're going to get back. If you're trying to trade him the week of the deadline, it's going to be tougher." The rumor mill has the usual suspects: Boston Celtics, LA Lakers, Cleveland Cavaliers, Denver Nuggets and recently the Washington Wizards among others. But the speculators may have overlooked a predator on the prowl. By their own declaration, the Houston Rockets are after a "top 10 player." The claim was made courtesy of a report from Zach Lowe of ESPN. Lowe noted that Houston has a legitimate MVP candidate in James Harden who is leading the league in assists and in the top five at scoring. However, "having just a single star was obviously not the plan." Houston Rockets GM Daryl Morey is not one to back off on a trade opportunity and he clearly stated his game plan. "Teams that win it all generally have two top-10 players," Morey said. "We have one. We will always look for more." Having a legitimate top 10 talent on the trading block doesn't happen often in the NBA. Harden was not a top 10 talent when he was traded (now he is). There has to be a convergence of certain elements for that to happen and it checks out with Boogie Cousins-arguably the top center in the league. Superstar talent on a team that has never made the playoffs, near expiring contract, dysfunctional front office-all the signs check out and it's almost too obvious. The Rockets will be in the mix for Cousins although the trade package they'll assemble is still questionable. But Morey is not someone to underestimate-the presence of James Harden in their team is the best testimony to that.